20131105- "view on security will change"
"The view on security cameras will change"
CEO of Milestone Systems, Lars Thinggaard, explains how the security industry in general and the camera segment in particular are now entering a time of big scale innovations that will change the view on security cameras and their use. The security industry in general and the camera segment in particular are now entering a time of big scale innovations that will change the view on security cameras and their use. 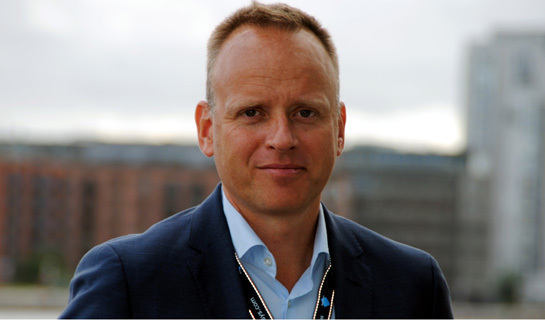 This, according to Lars Thinggaard, CEO of the VMS company Milestone, who here answers some questions on innovation and video surveillance. Where will the major innovations in video surveillance come from in the next five years? "In the next five years, some of the major innovations will come in the way surveillance video is used by companies to optimize their business. When you look at what is happening in our industry from a higher level, you see that it has evolved through three phases. Today, we are entering the third, or video enabling phase and this is where some of the most interesting innovations will occur. As the adoption of Cloud technology and managed video as a service (MVaaS) increases in security solutions, the trend of video being used to enable business applications will accelerate." What have the three phases meant? "Phase one was about video technology, the convergence of IP and analogue to make innovation possible. Phase two followed with video integration. This phase was about making the solutions easy to use and more intelligent with things like video analytics. The Milestone open platform is a major driver for this phase because it makes it possible to use surveillance video together with other security systems, such as access control, analytics and perimeter devices. Phase three is where we will really see innovations blossom; we call this phase "video enabling." Here, we will see surveillance video used to give better customer service and improve business processes in many industry sectors. This phase will change the way the world thinks about using surveillance video." How does Milestone intend to innovate the market in 2013? "We have created a separate business unit, Incubation & Ventures that operates in parallel with our day to day business to drive innovation. This team is focused on creating new game changing products and bringing them to market. Milestone Arcus is our first product from this new business unit. The product is an embedded VMS platform for large hardware companies. It was hot news at ISC West and we have more than 50 companies interested in the platform. Read the full article about how the view on security will change.